Recently I went to Surabaya for my birthday treat on July 20th, 2017. So, I am officially 26 years old this year! Yeay! Supposedly this trip should be with my travel partner, Aimie. But, unfortunately she can't join me due to certain circumstances. However, the journey still need to keep going guys! The below is the rough itinerary I had planned throughout the journey. Day 1 (20 Jul) - Arrived in Surabaya, stay one night in Surabaya (I stayed with local people apparently). Day 2 (21 Jul) - Depart to Malang City (about 2.30hours journey by train) and stay one night at Padi Heritage Resort. Day 3 (22 Jul) - Next to Probolinggo by bus. Then, proceed to Cemara Lawang (nearby Mt Bromo). Overnight with local's. 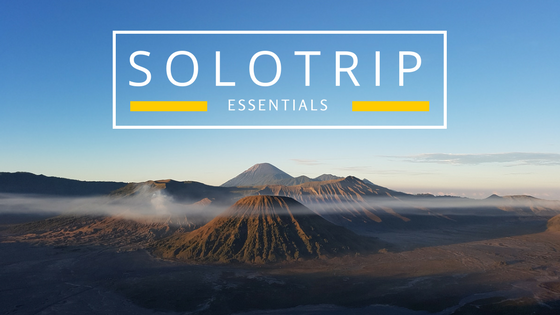 Day 4 (23 Jul) - Let's hike up to Mt Bromo's! Return to Surabaya (2.30hrs journey). Again stay with local. Day 5 (24 Jul) - Back to KL. Bye Surabaya. See you again next time. Let's go we go through the details one by one. Actually I have video in the making. But, will update it once ready. So, earlier I did mentioned that I stayed with local. How? My secret is Coachsurfing. Have you guys ever heard of it? It's a platform where you as a traveller, find a local to stay with. Travel like a local guys! No worries, this platform can be trusted. The most important is that you have to be smart on choosing your host. I have joined this platform about 3 years ago on 2014. During that time, I was wonder can it be trusted? So, I made a decision to try and have experienced it for the first time. Yes it can be trusted, but still you need to be careful. You need to choose a preferred host. Maybe you can go straight away to the website and try yourself and one more thing, they do have Apps in Playstore. You can download it there. Easy Peasy right! On day one, actually I haven't taken much photos. But, I recorded a lot of videos for my travelogue of course. How about we go to day two in Malang city and see the place I stayed for the night, Padi Heritage Hotel. This place previously known as Paddy City Resort, and they have changed the name due to new management by Mr Afrizal. Click here to see more updates on Padi Heritage.